ADNEE IS OUR VERY OWN DESIGN OF SYRIA HIJAB. ADNEE IS CRAFTED FROM HIGH QUALITY COTTON LYCRA OR ALSO KNOWN AS COTTON VISCOSE. THIS FABRIC IS EXTREMELY COMFORTABLE, BREATHABLE AND HAS A GOOD ‘DRAPE’. GET THE HAND FEEL OF THE MATERIAL AND YOU GOING TO FALL IN LOVE WITH IT. VERY LIGHT, COMFORTABLE AND COOLING. ADNEE IS SPECIALLY CREATED FOR THOSE PLAIN LOVERS SYRIA HIJAB. 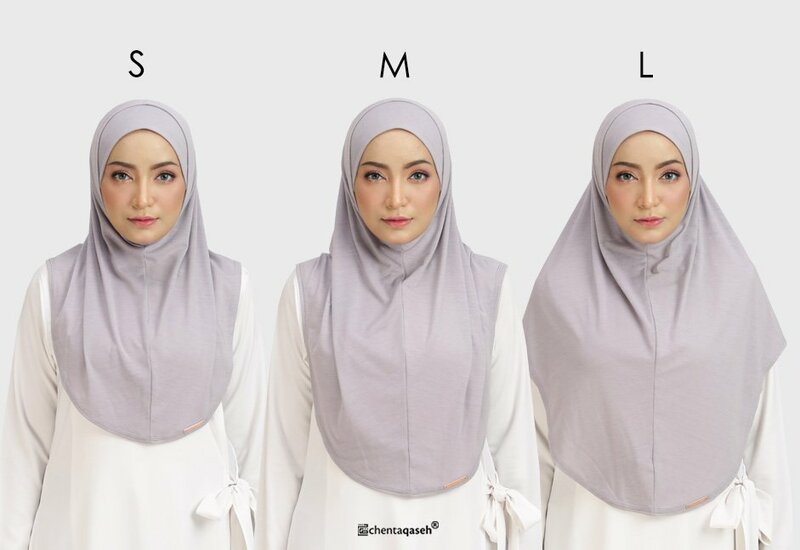 FOR THE BEGINNING IT COMES WITH 2 SIZES ~ S AND M. ADNEE COVERS YOUR CHEST PERFECTLY (DEPENDS ON YOUR BODY SIZE).